Making your bank's branches and headquarters consume energy in a smart way is the goal of any bank today. 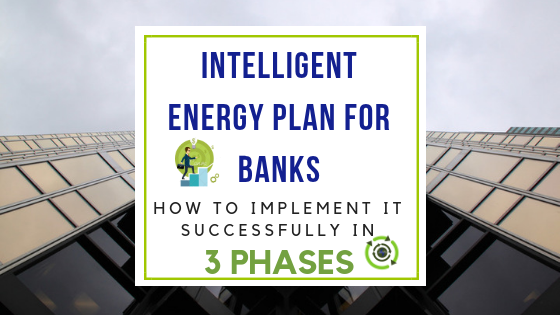 In this article you will discover the phases that a bank must carry out to implement a smart energy plan, highlighting the smart energy control phase. Knowing how buildings work inside is a key to better understanding where energy consumption comes. In this article, you'll learn about the types of offices and buildings that banks have today, and how bank offices consume energy. At the end of 2018, we launched our annual survey and +300 energy professionals responded. The results can be found in a 14-page report that we have produced in pdf. And, if you take a look at this infographic with 6 outstanding statistics from the survey!! If you find the information below interesting, you can always extend it by downloading the full report in PDF here. One more year, the energy manager's priority is to close more energy efficiency management projects. But while they have the project in their hands, where do they find the greatest difficulties? What challenges do they face during the energy management process? Another year has run out, full of novelties and energy content. You have probably found thousands of articles about energy, energy management, efficiency, new technologies, and more, but ... which were the most searched topics about energy in 2018? We tell you about it below. No one knows how an airplane works better than a pilot. Similarly, no one knows more about the energy sector and energy efficiency than those of you who work in the industry everyday. That's why we invite you to participate in the fourth edition of our annual survey on Energy, Technology and Innovation.